Google to rival Apple with own mobile? Google planning own phone... again? 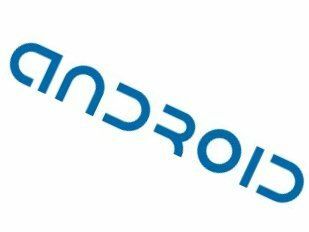 Analysts are predicting that Google is planning to create a branded mobile phone in the coming months. Ashok Kumar, an analyst from Northeast Securities in the US, says he has seen design plans between Google and HTC that show the search provider's new vision. "Google is working with a smartphone manufacturer to have a Google-branded phone available this year through retailers, and not through telcos," he revealed, according The Telegraph. The idea would be for Google to make a single-price device, which would be unlocked and then could be used on any network with a rolling monthly contract or pay as you go deal. Google previously was tipped to release such a device before Android launched and it pledged to only be an OS developer. Other are stating this is the realisation of Google's dream to have low-cost, web-friendly touchscreen devices available to everyone, although the plan seems fraught with problems, especially in the UK. The model here has traditionally been one of subsidy - especially on contract. Other countries see the phone offered for purchase then a contract bundled in, so UK consumers may baulk at having to pay more for a phone that isn't reduced by networks. It also sounds like a similar situation to the likes of the T-Mobile G1, where Google had a huge influence on the design - it sounds like it would be a very similar situation, albeit one without network input. It would be a very big leap for Google to start solo-branding its own hardware, but given the company's penchant for innovation nothing's impossible.